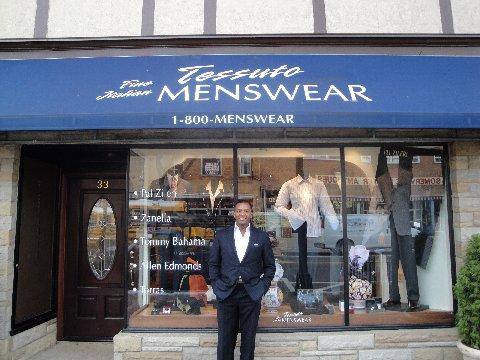 Because my store, Tessuto Menswear, is located on Main street in Sommerville, I wanted to try to take advantage of the high traffic area by making it simple for people to call me without having to write my number down. In 2004 I dialed 1-800-Menswear and spoke with the CEO of Telename Dave Ashley and found that I could own the rights to 1-800-Menswear for all of NJ. I locked it up 6 years ago, immediately put the number on my awning facing the street, on our postcard mailers and all newspaper or magazine ads. We began getting calls in about a month and within 2 years the number alone led me to open a second business of a full service tailor shop because it seemed that everyone knew the number 1-800-Menswear. I’ve since added the number for NYC as well.